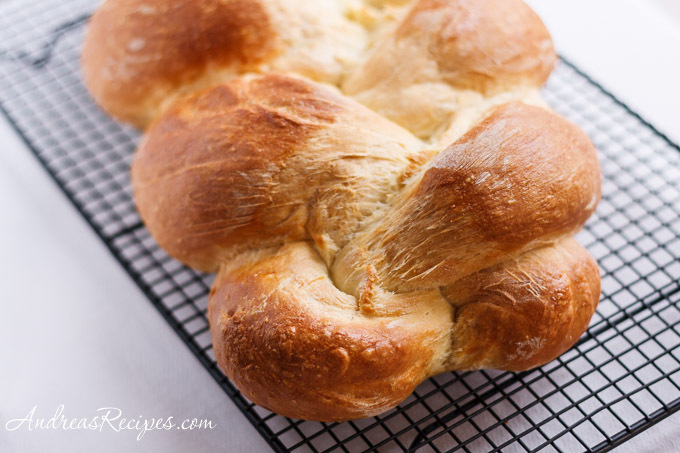 When done properly, Challahs is one of my favorite breads. The shape is beautiful, especially the celebration breads with multiple layers or multiple braids or when adorned with raisins or seeds. 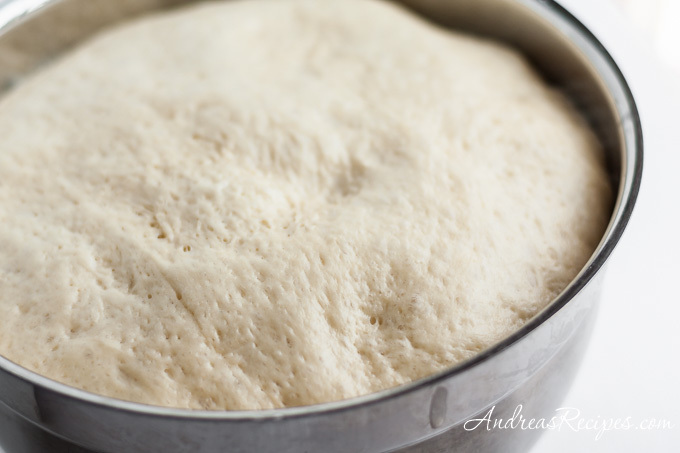 I enjoyed making this loaf, though I had a few distractions along the way that caused the dough to over rise twice. 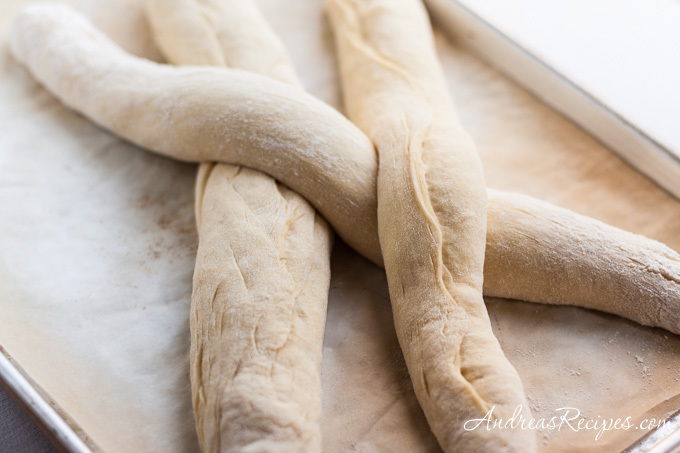 Then I seemed to overwork the dough because the rolls were never quite smooth and my challah looks stretched, like it’s splitting open in the middle. One of those things I have to work on. Thanks as always to Nicole of Pinch My Salt for organizing the BBA Challenge! 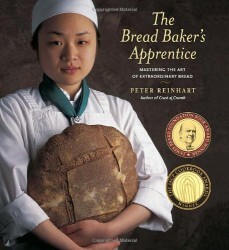 For more bread inspiration, check out the BBA Challenge photos in the BBA Challenge Flickr photo group. That whole photo series is simply beautiful. 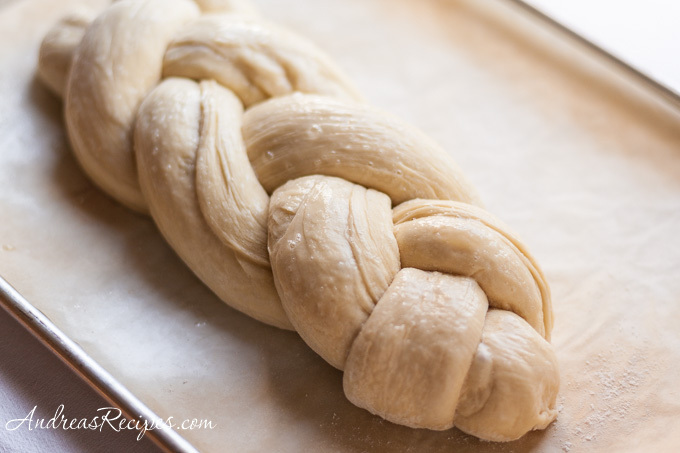 It makes me want to try challah just for the process! That is truly beautiful, Andrea! I love it toasted in the morning with a smear of butter and some raspberry jam. Bread scares me…I think yours is gorgeous, however! This is hands down one of my favorite breads. Great job, Andrea!